Danielle Gilliland, Carissa Kollath, Amanda Schultze, Tia Smith. ORLANDO, FL – A campus activity at Northeast Community College has been recognized on the national level. 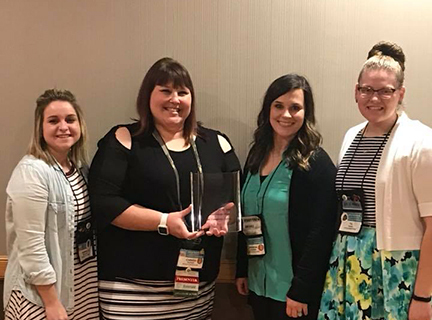 The Night Hawks Escape Room, sponsored by the Student Activities Council (SAC), was presented the 2018 National Event of the Year award from the Association of the Promotion of Campus Activities (APCA) at the organization’s national conference here. It was one of five awards presented at the conference. Representatives from over 100 community colleges, state colleges and universities attended the conference. Carissa Kollath, director of student activities at Northeast, accepted the award with Amanda Schultze, assistant activities coordinator; Danielle Gilliland, Wakefield, secretary of SAC; and Tia Smith, Neligh, vice president of SAC. An escape room is a physical adventure game in which players are placed in a room and use elements of the room to solve a series of puzzles to escape within a set time limit. Since the initial Escape Room project in Spring of 2017, which featured a history of Northeast, SAC has also hosted carnival- and pirate-themed escape rooms. Also at the APCA national conference, Northeast took second place in the Novelty Items category for the 5-in-1 car tool that SAC gave away at its annual Sober in October event. The tool is a torch light, LED light, seatbelt cutter, window smasher, and digital tire pressure gauge. 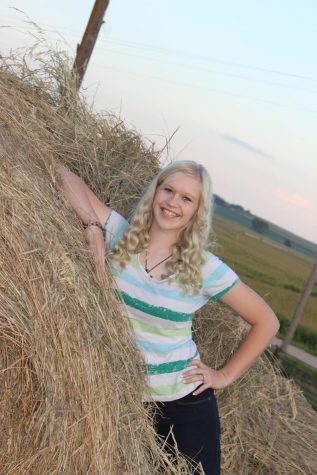 Sober in October is designed to show the dangers of drinking and driving and binge drinking. A promotional Hawk tumbler cup took third place in the Novelty Items category. APCA seeks to promote campus engagement through quality educational experiences, affordable entertainment and community service initiatives.